You listed your home for sale, got the home staged and ready to go, the pictures were taken, the MLS entry was created, but then it sat for a while. Finally, after a few weeks and relatively few showings, it appears as if somebody is interested in your home. Sure enough, your real estate agent calls to tell you she has received an offer and would like to review it with you. When she arrives, you are chomping at the bit to find out everything about the offer. And then depression sets in. You find out the buyer's offer is low-ball, meaning the amount of the offer is far below the asking price you had set. The image on the right shows how you feel, but would it surprise you to find out that you should have known it was coming? And that you made this happen? Also, the buyer is not going to buy your home. You see, you created an environment where only an un-motivated buyer would take a shot at your home. Your home was priced too high for the right buyers to see it on the internet. In case you think that is no big deal, you should understand that 94% of homebuyers are using the internet during their property search. Please, take a moment and review what buyers are doing when they search for homes on the internet, it will explain why the ones you want to attract are looking at other homes. Because of your "too high" price, the buyers who ended up seeing your home was looking a nicer homes, and your home (as nice as it is) is not as nice as those that are worth more. The internet is brutally candid, and most buyers are sorting their options by price. Padding an asking price is the poorest decision a home seller can make today when it comes to a home pricing strategy. If your home is priced as a good value within the market, and there are active buyers in your market, won't more than one buyer be interested? It's really all about the liquidity for your home. Price it right and buyers will compete for your home. If one makes a low-ball offer, throw it out (or counter at full price or higher). If your home is truly a good value, YOU ARE IN CONTROL. 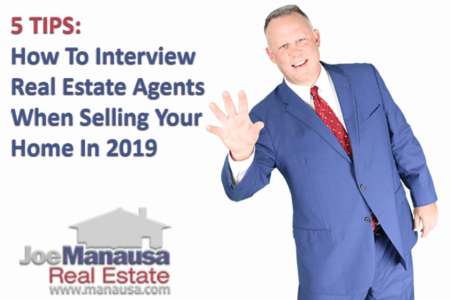 I wrote an article many years ago titled "Why Real Estate Is Always A Seller's Market," you should give it a read and it will help you avoid low-ball offers. As a home seller, you control the type and number of buyers who see your home as well as the quality of the offers that you will receive. You can choose to attract motivated buyers so that you will get aggressive offers. Or you can choose to attract bottom feeders (really, buyers who are not yet ready to buy a home so they make super-low offers that won't be taken seriously) and you will get low-ball offers. In my opinion, low ball offers are created by unmotivated seller's who are priced too high to be sold and who attract unmotivated buyers who make an offer they are certain will not be accepted by a seller. Lower your asking price immediately and try to get competitive buyers to make offers on your home. You can formally respond to a low-ball offer, but it is a waste of time. Just change your asking price (to the correct price) online, and new buyers who have not yet seen your home will finally be exposed to it. It is from this new group that you will acquire the buyer for your home. 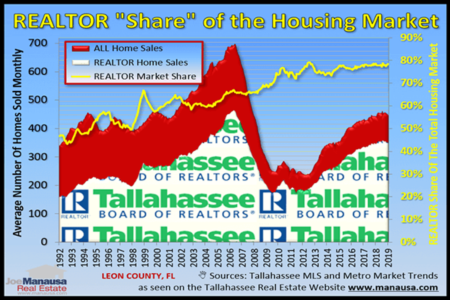 If you would like to know the real market value of your home in Tallahassee, simply drop me a note and we'll set you up with a "no strings attached" valuation that will ensure that you do not attract low ball offers.